The security of your home should be one of the things that you are concerned about. Your home is the place where you should feel most safe. If you do not feel safe inside your home, expect that you are not going to feel safe anywhere else. Focusing on home security is essential for protectio during the holidays. Call Bobcat Locksmith today 512-954-5025 to safe guard your home for the holidays. People are taking home security more seriously over the past years. If before, people need not lock their doors whenever they go out, they now have high-tech security systems that will make it hard for anyone to try to enter. There may be windows that are not fitted properly on the windowsills. There may be doors that are already rotted so one kick is all it takes in order to break down the door. Do you have windows that cannot be locked? You have already found one of the many ways that a thief can enter your home. The recorded crimes for burglary has drastically increased over the past years. The thieves are becoming slick with how they commit their thievery. They usually work with other people and they try to work out which homes they should target due to different reasons. You do not want your home to be a target. Remember this: not all burglary incidents are reported so there are still people who experience being robbed from their own homes but their cases are not part of the present statistics presented to people. Replace your old doors and windows. When was the last time that you have replaced your old door? If you cannot remember anymore, there is a big possibility that your door needs to be changed very soon. Doors normally become easier to break and their frames are not as sturdy as before as time passes by. Take note of the latest doors and windows that are available. They are fully equipped to protect your home as compared to the traditional models. A lot of the new doors and the new windows available have locks that cannot be easily tampered with. One tip: Before sleeping at night, you can go over various areas of your home to check all of the doors and windows where intruders may enter. Keep them all locked properly to keep yourself safe. Allow your family members and friends to keep track of your home when you are away. You and your family may have to go on a vacation or if you have always lived alone, you are not going to be staying in your home for a few days or so. You can always ask your neighbors to keep watch while you are away but they will not always realize what’s happening inside your home. You can ask family members and friends to stay at your house while you are away. If they cannot stay for a long time, they can just check if nothing’s amiss. The people that you trust can come in the morning so that they can remove mail from your mailbox and the newspaper can also be removed from your doorstep. If these things will not be removed, thieves will know that no one is living inside your home and your house will be an easy target since they can take time in removing items from your home. If you are going away for a long time, stop yourself from stating in social media how long you would be away. It will only alert thieves that you are going somewhere. This is the time when you need to contact your most trusted locksmith in order to improve the locks that you have previously installed. You need to change your locks if your home is pre-owned. Even if the past occupants of the house has turned over all the keys to you, you do not have any idea how many people have access to those locks. Have them all changed by a responsible locksmith and you will not have this problem. You need to remember that there are different types of locks available. You need to choose depending on what you think will protect your home the most. Some may be cheap but with just a few sharp objects, your lock can already be opened. There will be almost no sign of a break in so investigators will find it hard to help you out. Install lights all over your property. There are some thieves who become intimidated when they see that there are so many lights available. Make sure that you have them installed near the perimeter of your home. Do not forget the back garden as this may be the spot where thieves would enter. To save up on energy and electricity used by the lights, choose motion detector lights instead. These will only light up when it senses motion within your property. It can sometimes shake the thieves so much that they will not push through with what they are planning to do. Make sure that the burglar alarm can be seen easily. 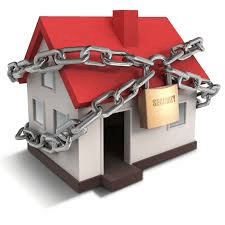 One of the things that thieves check when they try to search for a home that they will target is the burglar alarm. If they see that your burglar alarm is readily displayed at a portion of your home, it may be enough to deter them from trying to break in. A burglar alarm will always increase their chances of getting caught. Just remember that it is okay if the burglar alarm can be seen easily as long as thieves will not have easy access to it. They can always disarm the alarm system and stop it from working. You can place it somewhere safe preferably inside your home. This will allow you to stay protected and use it to scare the customers away. 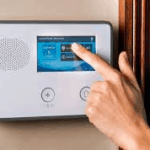 There are so many things that you can do in order to improve the security of your home. Make sure that you will do all the things mentioned above and do other security measures to keep your home safe from thieves.